If you follow the car industry to any degree, it’ll probably feel like the age of the internal combustion engine is as good as over. It’s all about hybrids in the short term, battery-operated vehicles in the long, and banishing diesel to the history books after a certain German manufacturer arguably tarred its name for good. Mazda is no ordinary car company, however. It isn’t rushing into the realms of hybrid and fully-electric cars with all its might. It hasn’t bothered with downsizing, choosing instead to stick with much larger engines, with all the petrols being naturally aspirated. It hasn’t proudly given a date when it’ll stop making any cars powered by internal combustion at all. 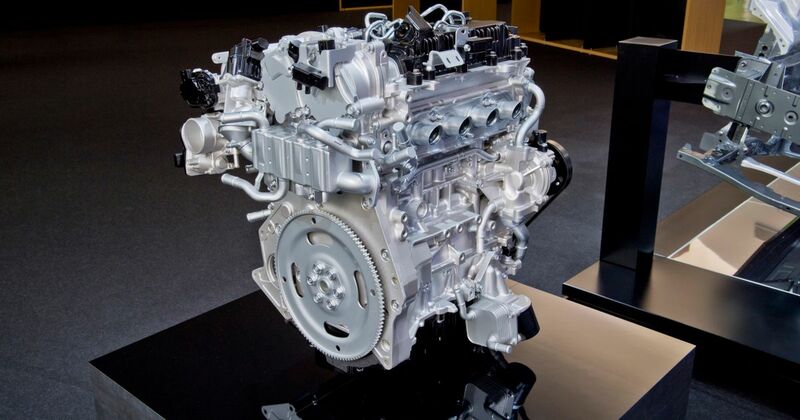 And perhaps most unbelievably, it’s made a revolutionary new petrol engine. The concept of Homogenous Charge Compression Ignition (or HCCI) has been around for a while now. The idea is you ignite a much more lean fuel/air mixture using an extremely high rate of compression with no spark plug, much as you would in a diesel engine. The only trouble is, you can’t control when the bang happens, and that increases the risk of engine knock or pinking - which is when an explosion happens when the piston isn’t at top dead centre. And that’s not awfully nice for your engine components. Mercedes tinkered around with the tech for a while before throwing in the towel, so how has Mazda managed it? By doing something that’s not quite HCCI, is the answer. Mazda calls it Spark Controlled Compression Ignition or SPCCI, and it’s the ‘spark’ bit that was effectively the eureka moment for Mazda. Under the guidance of a spectacularly complicated ECU, spark plugs are brought into the mix, giving the control needed to stop the chance of pinking happening. A lean mixture consisting of more air than fuel - about twice the amount of air you’d find in the ‘stoichiometric’ mixture used by normal petrol engines - is compressed very close to the conditions needed for combustion. The ECU uses sensors to recognise this point, reacting by igniting the spark plugs. This causes an expanding fireball, triggering the right conditions for combustion to happen. The result is a far leaner burn, giving a 20 - 30 per cent increase in efficiency. So that’s a reduction in emissions to give Mother Nature less of a kicking, and a lower fuel consumption to ease the pain on your wallet. 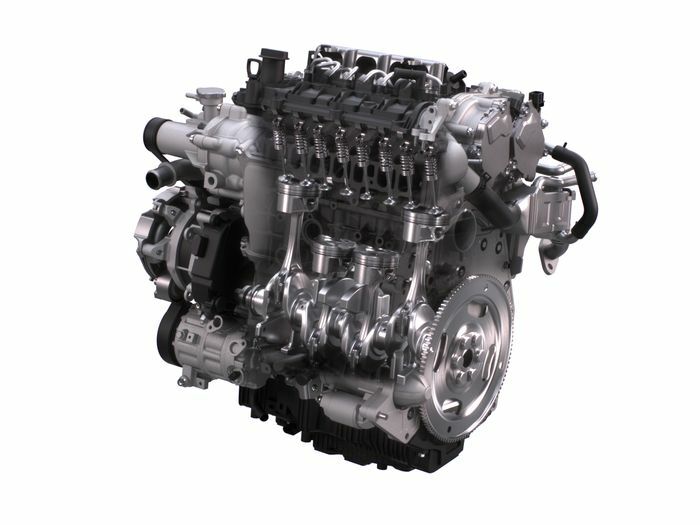 You might think an ultra-high compression ratio would give SkyActiv-X a clattery, almost diesel-like din, but no: it sounds like any old inline-four, for the most part. It’s not the most muscular-sounding four-banger, but it is eerily quiet (which may partly be down to the newer platform’s better sound-deadening), and very smooth. 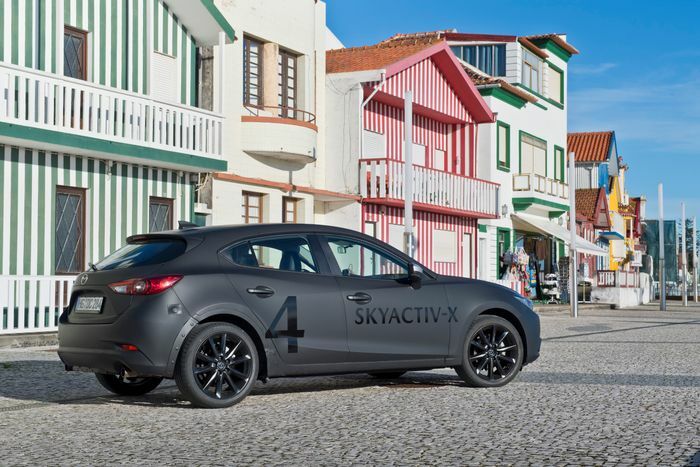 The yob in me preferred the angrier noise made by the 2.0-litre current-gen 3 we were given for comparison purposes, but it’s early days, so the final version of SkyActiv-X may end up with quite a different character. As the world is starting to realise, downsizing generally doesn’t work. Sure, there are efficiency savings to be had, but only in a very narrow window: generally when the engine is off-boost and the throttle is merely being tickled. That makes small turbocharged engines look great on the NEDC emissions/economy test and quite frugal for a careful motorway run, but you haven’t a hope in hell of even getting close to the official numbers, at least until more of the Worldwide Harmonised Light Vehicles Test Procedure (WLTP) cycle figures come out. There’s no such issue with SPCCI, as the operating window is huge, helped further by a small roots-type supercharger maintaining the air supply. In other words, it’ll be efficient without you having to drive like your gran. It’s only under high load and at high RPM that the ECU switches to traditional spark ignition - the rest of the time, you can enjoy that lovely lean burn. Oh, and all of this means that the gear ratios can be shorter without any efficiency penalty. Lovely. As if all of the above wasn’t enough engineering wizardry, there’s one more fascinating nugget I’d like to share with you: the fuel is swirled as it’s injected. Mazda Europe’s powertrain R&D chief Heiko Strietzel compared this to a hurricane - a vortex which has a very stable ‘eye’ in the middle where there’s very little movement. This creates a less lean area around the spark plug which - unlike the fuel/air mix in the rest of the cylinder - can be ignited. It’s then that the fireball we talked about earlier is started, creating the right conditions for compression ignition to begin. Much like a turbocharged engine, there’s a healthy and handy delivery of low and mid-range torque at play here. Except there isn’t the lag nor the boost threshold ‘step’ of a turbo’d inline-four, making SkyActiv-X an almost bemusing engine to experience at first. The engine picks up keenly from about 2500rpm, and after that it’s a linear pull all the way up to the red-line. The switch from SPCCI to conventional ignition is imperceptible. You’re all thinking it, so let’s broach the subject of if/when SkyActiv-X might appear in our favourite current Mazda, the MX-5. 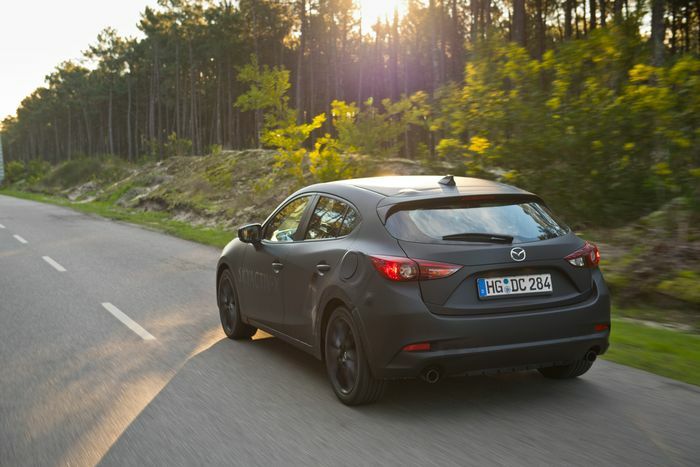 The new engine is widely expected to debut in the next-generation 3 hatchback in 2019, but it should eventually be available for every new Mazda. 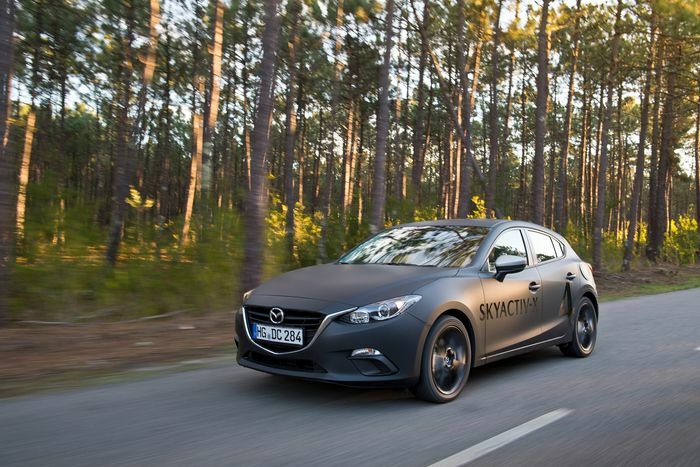 “If it’s well accepted, this technology will be available in all of our next models,” Mazda Europe CEO Jeffrey H. Guyton confirmed while speaking to us at the driving event. The key word here is ‘available’ - it won’t be the only kind of engine in future Mazdas. “It [SkyActiv-X] does not mean that we get rid of the current engines, they have their own cycle plan for improvements. But this is now another member of the family,” Guyton said. It will only appear on new models, however - cars that have been designed from the outset to adopt the engine and its accompanying parts and systems like the mild-hybrid setup. “These things are necessary, so you need a new package for it,” Guyton explained. 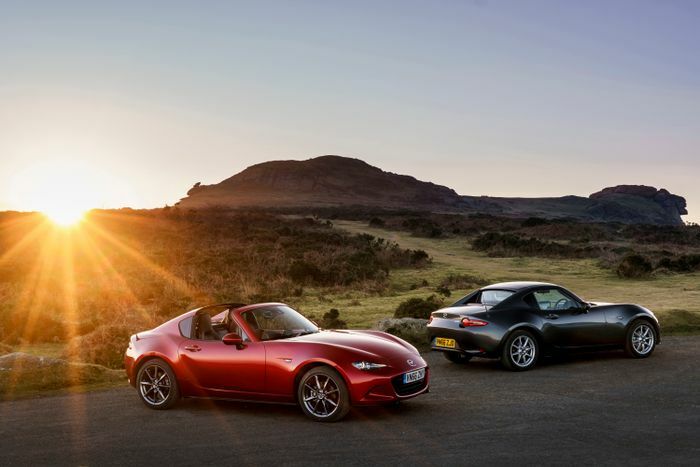 So, it won’t be installed in the ND-generation MX-5. 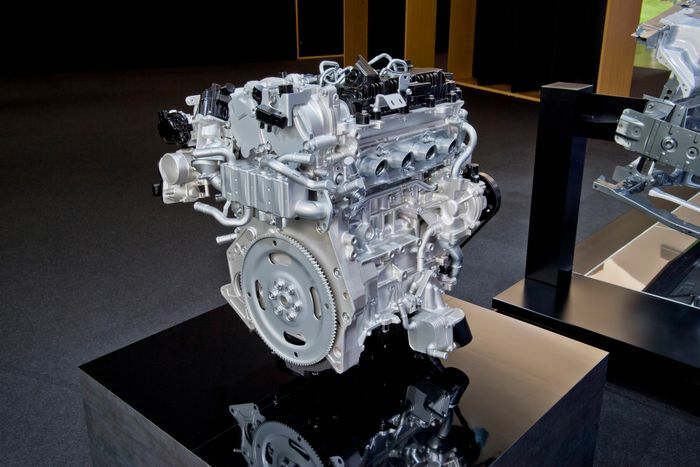 But it will soon be thrust into the automotive mainstream, proving that the age of the petrol engine is far from over.